Preparedness, a phone call and a warning to look to the skies. Hurricane Éric approaches. After last year's hurricane hit St. John, I had sworn that I'd be prepared for the next hurricane season. I had put off the upgrades to the Wireless transmitter and generator and we had paid for my laxity with much damage. Not this year. I looked over my new equipment in the attic with much joy. It had been late to arrive, some of the components being shipped from far away Caledon with some additional apparatus that was originally of Seraph City origin. I only had just finished the final installations, though it had been ready at half power (still more than last year) last week. But it was worth the expense and time. This hybridized transmitter ought to be able to reach such far away lands as Cala Mondrago, Babbage, Caledon, Europa Wulfenbach, Winterfell, perhaps even Bay City, the Blake Sea, or Neufreistadt. I decided to temporarily put the operator station near my desk with the telegraph key. That should work well enough, for the time being. 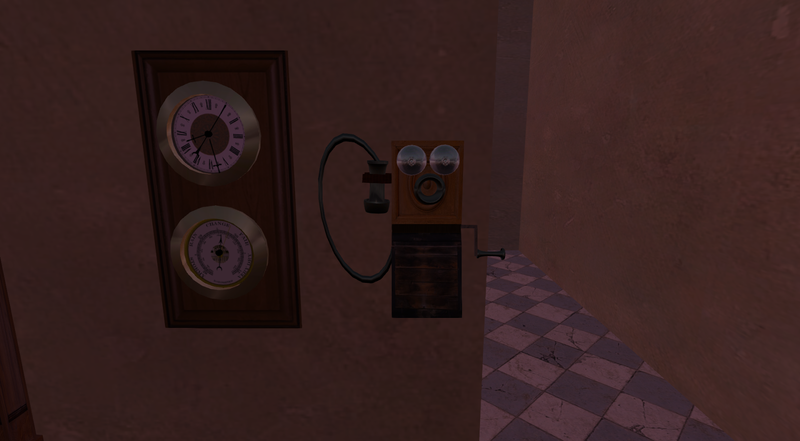 As I walked past the clock and barometer, which showed a "change" reading, the telephone rang. Ah, yes, Miss Creeggan of St. John? Weather Bureau here, we've received some reports of heavy tropical storm activity reported via Mondrago, and vessels under way to the south of St. John. So do keep an eye on the sky, that's a good girl. "Merci, M'sieu, will do." I replied to the obvious dolt who didn't know better than to condescend to me. 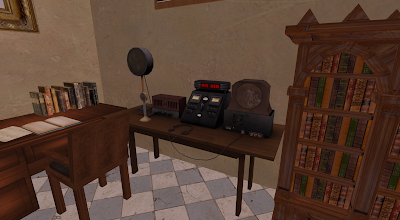 As I hung up the phone, the telegraph began chattering away feeding the paper tape and radio began squawking on the St. John Corsairs frequency. Allo St. John, This is Corsair Capitaine , reporting a très mal storm 'eading Nord. Navigateur thinks landfall will be . S'il vous plaît préparer, repeating land fall in 4 days estimate. If my eyes are right, it looks like a ouragan. if you can hear this, but avec la grâce de Dieu, you will. "Ms. CC at St John here, transmission recieved, bless you Corsair! 4 days warning! Mon DIEU, 4 Days! Get your ship to safety Capitaine, make port at Cala Mondrago or Half Hitch dock on the Blake." I headed outside to look at the sky. It was beautiful, but soon wouldn't be. 4 Days, Blessed Be. I headed back inside to the desk to check the list of this years Hurricane names, ah, this one would be "Éric", with the accent mark. Time to send some messages out, THIS time it would do some REAL good... 4 DAYS warning, thank the Goddess. 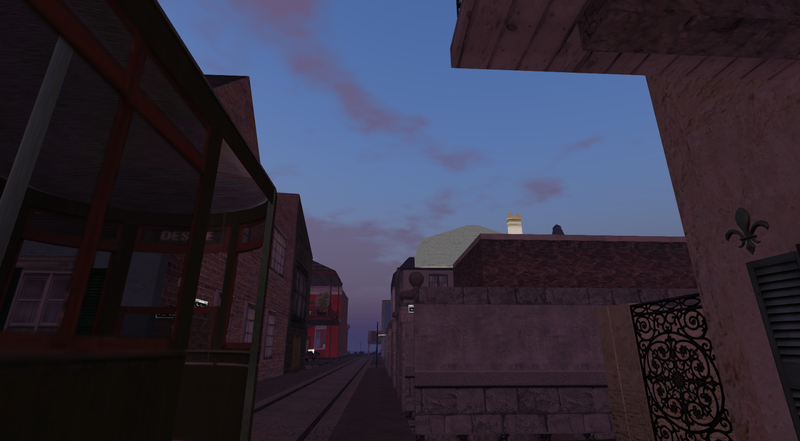 I then realized that I might make good use of that air raid Siren I picked up on the Iron Cloud. Sandbags, I'm going to need more sandbags. I returned to the Telephone and key and spread the word to the good people of St. John. We'll see how tough that Hurricane will be when we can prepare. Baron and Baronin Wulfenbach 2015 Anniversary party. Wasn't going to miss this. I decided to go Jager and I'm glad I did, because I was the only Jager there! And what's a Wulfenbach party without a Jager? Even bought a new skin with Maitreya appliers (Lumae Orsimer Adore from the We Heart Roleplay event) just for the party! It even came with EARS. It's going to be a good skin when I do a Zelena (from once upon a time) look. I just bought the PERFECT outfit for that. To my right is in the black/gold is Dean "Double Secret Probation" Phrynne of Caledon Oxbridge. The couple with the fellow with the white hair dancing with the pretty lady are the Baron and Baronin themselves. The Gorgeous blonde in Pink is the Lady Skye. Who quite frankly makes me look like chopped liver fashion wise most of the time. SHE is the one who should be fashion blogging. The Eldemars are there in back next to the Tiny Eladrienne Laval. In blue in front of me is Mari Moonbeam. 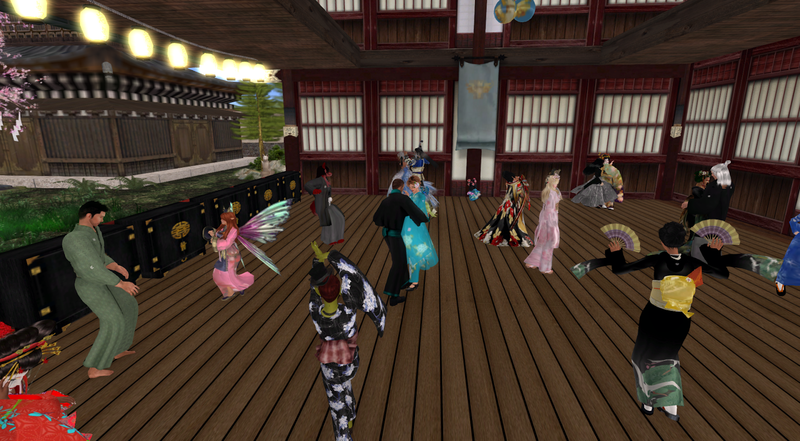 Wulfi and Lady Sumoku are in the far right corner, they were the party organizers and hostesses. The build was VERY nice and several people wanted to steal it. 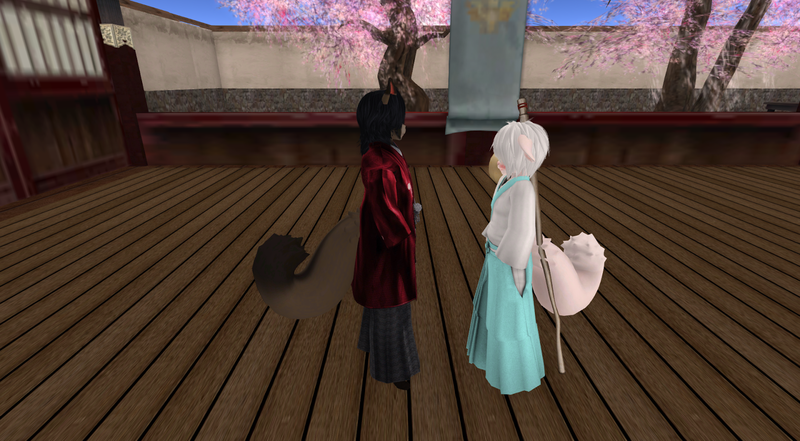 At the end of the party I just had to take a pic of Babbage Urchins Stormy Stillwater and Satu Moreau, where were freaking adorable. I just wanted to take them home and give them wuv. Say it with me now....Awwwwwww.